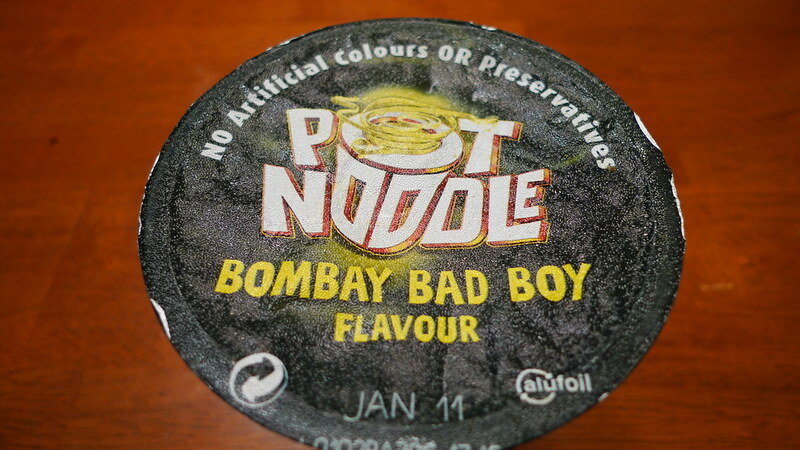 Bombay Bad Boy looks different than the other pot noodles I received from my friend. It's black with a picture of red chili peppers being mixed into noodles. My guess was that it was going to be spicy. 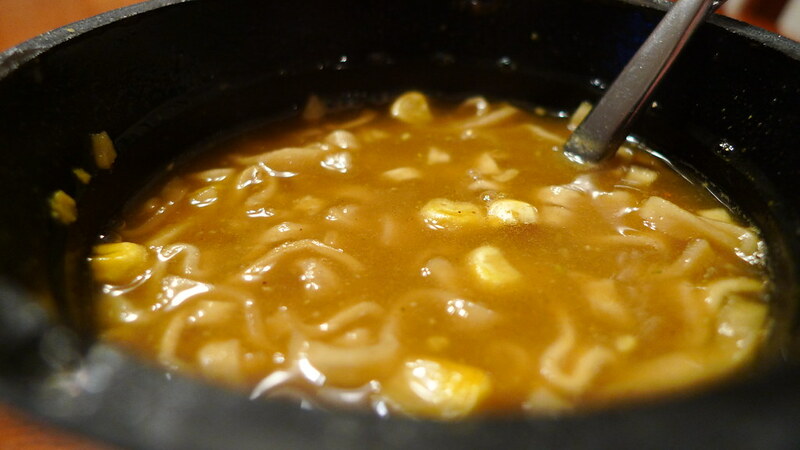 When you open the lid, there is a small sachet of chili sauce resting on top of the noodles and seasoning. 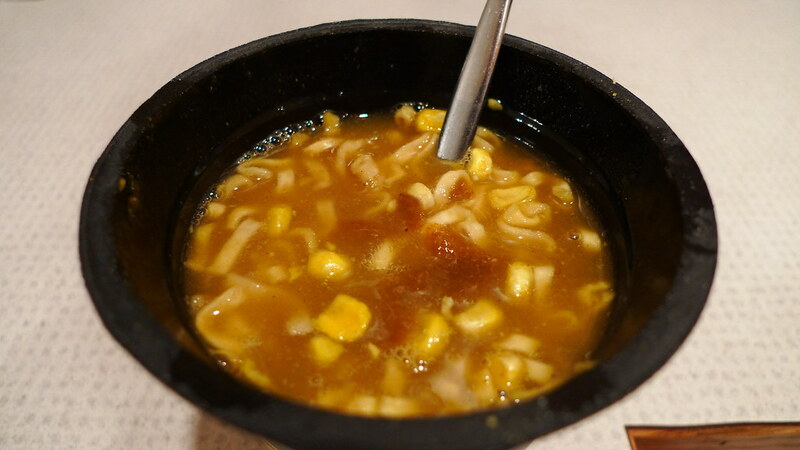 It is to be added at the end much like the Sticky Rib Pot Noodle I tried before. 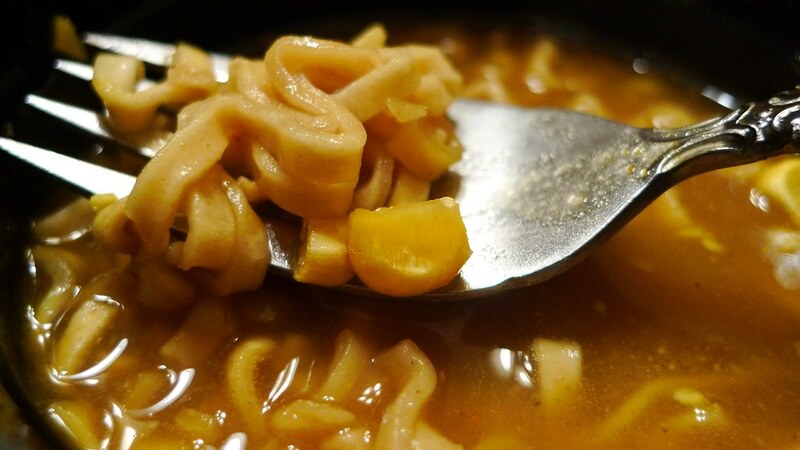 The soup is just like all of the other pot noodles I tried. Thick. My guess is this is how they all are. Before I dropped the packet of chili sauce in the cooked noodles, I tasted a drop on my finger. Wow! Spicy! Really spicy! Like, concentrated chili pepper sauce. 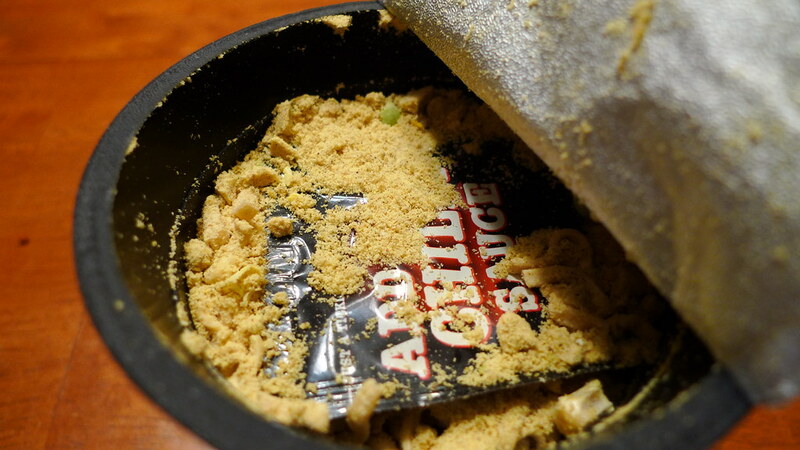 Thankfully I can handle just about any degree of spice. This was going to be good. 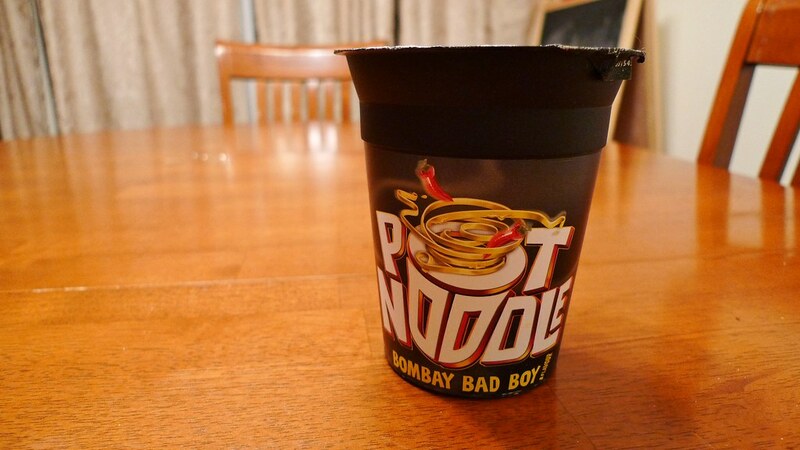 It's tough to describe the taste of Bombay Bad Boy. It has sort of a bland, but spicy taste. It's better than most of the other ones I tried, but I can't say it's my favorite. 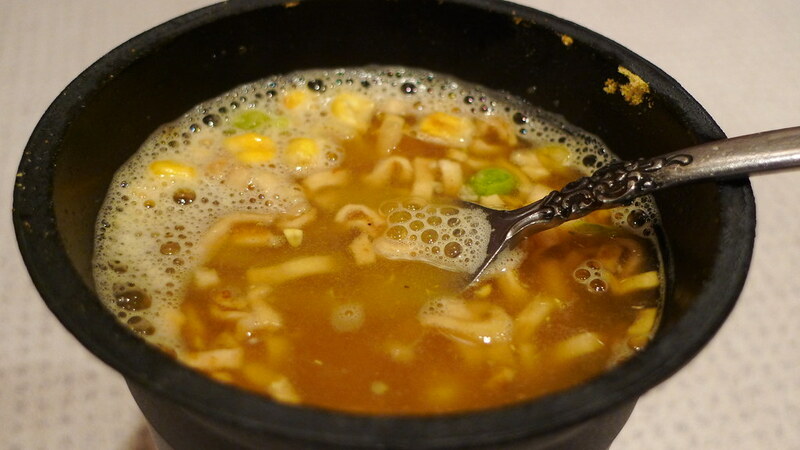 But if you are a fan of spicy noodles, this one is the best out of the bunch. Personally, I'll take the Sticky Rib over this any day. Julie didn't try this one since she still can't really handle spicy stuff too well. We tested her again the other day with some Thai red curry chicken and she thought it was spicy and spit it out. One day she'll enjoy the fire. As for this, it would probably be good to have a couple times per year, but Bombay Bad Boy is not something I would buy all the time. Formerly my favourite pot noodle flavour, now it's chilli beef and Brazilian barbeque. 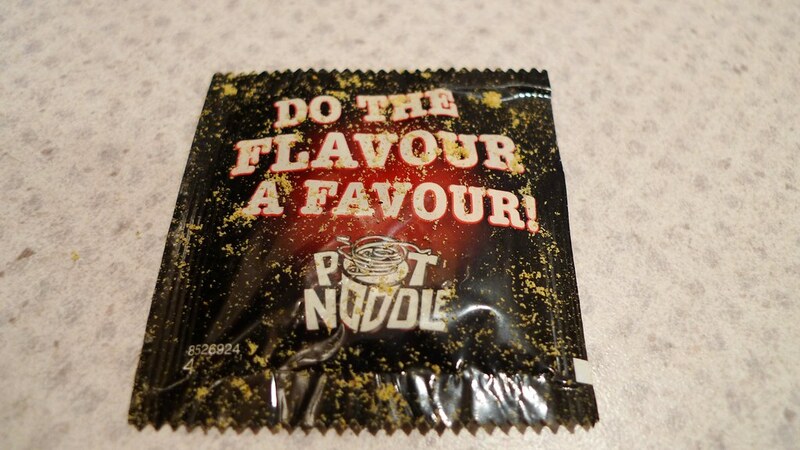 I personally love pot noodles, they come in nice flavours and are quite satiating. Some noodles are just awful but I've found pot noodles, koka and ko-lee (only the ones in the pots, the bag ones are crap) to be great. And another tip - add a bit of Sinclair smokey Naga sauce to any spicy noodle (especially Bombay bad boy, beef and tomato or shin cup spicy) and it'll heat it up even more. It goes well with chips too.